Back in January, a handful of photos of what was alleged to be the fifth-generation black iPad's rear shell surfaced, showing how the device would take design cues from the iPad mini to offer a smaller form factor with narrower side bezels and more rounded rear edges. An additional photo appeared in late April, but otherwise leaks of the device's rear shell have been scarce. 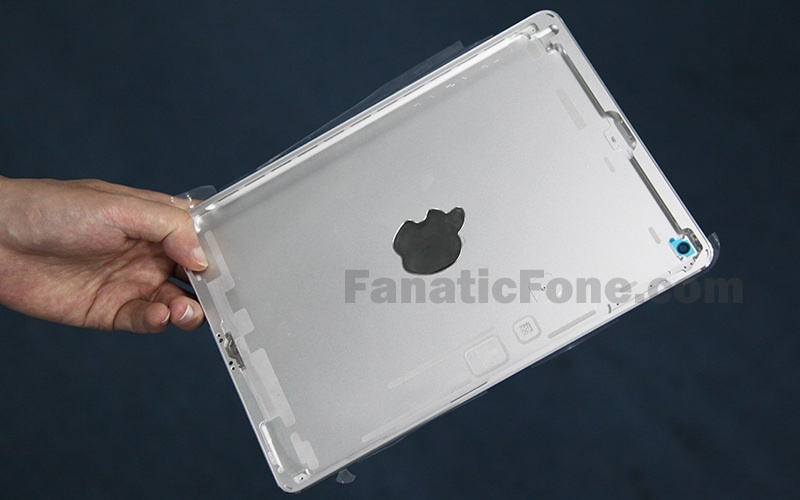 A variety of cases designed to fit the expected iPad 5 form factor have also been appearing in recent months. 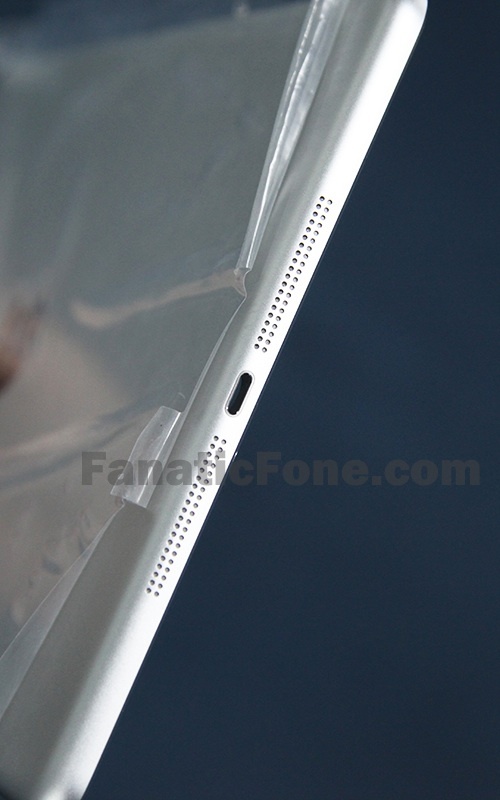 FanaticFone now shares some new photos of an alleged fifth-generation iPad rear shell, this time in the silver color that would presumably be paired with a white display assembly as on the iPad mini. 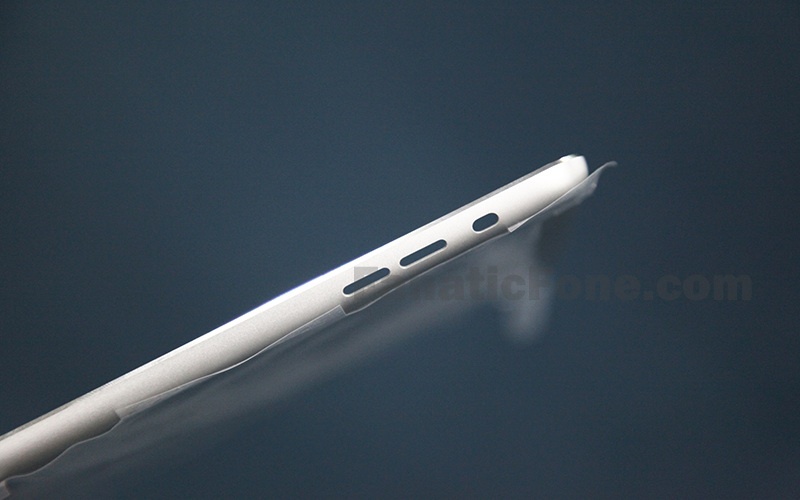 The photos highlight several features of the part, including separate volume buttons as opposed to the single rocker button on the current iPad, dual speakers flanking the device's Lightning port along the bottom edge, and a narrower lip for the display assembly than seen on the current iPad. The report also claims that the Apple logo on the part is silver as on the iPad mini, although it is not clearly shown in any photos. Only the black rear of the Apple logo insert can be seen in a photo of the inside of the shell. A second photo of the shell's bottom edge shows a bit of the logo, but out of focus and at a significant angle, making it difficult to see. Apple's fifth-generation iPad is expected to launch as soon as next month, with a new iPad mini with Retina display perhaps following soon after. Looks like Apple will continue to not put a flash for the camera on the iPad. No need for a flash. No one sane takes pictures with iPads. Fake. The photos aren't blurry enough. Err... does the Apple logo cutout look really strange to anyone else or just me? No one sane says that no one sane takes pictures with iPads. Decent camera, very powerful processor and big screen for photo editing, perfect for taking pictures and editing them on the go. And as always, Apple will praise the "stunning, new design" of the iPad 5 - even though the entire Apple community can obviously see it's based off the iPad mini. If other companies get praise for "stunning new designs" based on older Apple products, why can't Apple? That is not true. The iPad camera is pretty okay. The lens/viewfinder size ratio is the best of all cameras available. ;) The onboard video (!) editing software is the best/fastest of all mobile OS. PS. Just would like to have that quick camera access button on lockscreen like on iPhone. Let us not enoourage people holding up their ipads to take pictures.